The Torah begins with the words “Bereishis bara Elokim – In the beginning G-d created.” Rashi explains the word “Bereishis” to indicate “bishvil reishis – for the sake of reishis, G-d created….” He identifies “reishis” as referring to the Torah and to Bnei Yisroel. The very word “Bereishis,” then, implies that Hashem, who constantly creates the world ex nihilo, is the Author. Hence Torah, known as “reishis darko,” must always be studied with the excitement of one about to begin a journey with G-d. But only the Jewish People are capable of this mission because they alone are called reishis tevuasa – the first crop of grain, whose essence is growth. These three – Hashem, Torah and Bnei Yisrael – are intertwined with the eternal message that the Jewish People must immerse themselves in the Creator’s Torah, the Blueprint of Creation, to forever maintain their identity as the Children of Israel, a people who are constantly beginning afresh. Walking in the ways of the Creator, Rabbi Avigdor Miller zt'l served His people as a launcher of beginnings par excellence. How did a child born in Baltimore at the turn of the century, when most American Jews felt it impossible to fight the tide of assimilation, grow to such spiritual heights? An explanation can possibly be gleaned from a comment made by Rabbi Yerucham Levovitz, zt'l, Mashgiach of the Mirrer Yeshiva in Europe. Over seventy years ago, Reb Yerucham said, “The American bachurim who come to learn in Europe are the Rabbi Akiva Eigers of our times.” Rabbi Yerucham surely did not mean that those American students were more accomplished in their studies than their teachers. Before his death, Rabbi Akiva Eiger zt'l had stipulated that he would permit only one of his achievements to be mentioned at his funeral: his demonstration that the delight of Torah can elevate a man beyond the world of affliction. Throughout his life, Rabbi Akiva Eiger was beset with severe physical pain. Yet his complete immersion in Torah engendered a kedusha that enabled him to overcome his pain. The material world can threaten Torah in only two ways, either with the threat of pain and destruction or with the lure of wealth and pleasure. Much as Rabbi Akiva Eiger overcame pain, these American bachurim managed to overcome the lure of wealth and pleasure, by leaving the comforts of America to live under the Spartan conditions of the Eastern European yeshivos. This raised them to an exalted level – a level that would later enable them to have a profound influence on thousands of Jews. Avigdor Miller was born to Yisroel and Hoda Riva Miller in Baltimore, Maryland, on the second day of Rosh Chodesh Ellul, 5668 (August 29, 1908). Shy and reserved as a child, Avigdor displayed a keen interest in learning and a prodigious memory. First he attended his grandfather’s Talmud Torah. When he was a bit older, his father engaged a Gemora teacher for him. During this period he closeted himself for long hours, studying in the local shul. His love of learning led him to a second galus. At age 17, after graduating high school, he left Baltimore for Yeshivas Rabbeinu Yitzchak Elchanan in New York, the only yeshiva in America at that time with a beis midrash. When he arrived in 1925, he found the yeshiva, located on Manhattan’s Lower East Side, with physical amenities that were far from luxurious. The yeshiva served day-old bread, collected from local bakeries. On Shabbos, the main course often consisted of sardines or hard-boiled eggs. Nevertheless, young Avigdor’s hasmada did not diminish. Having received a scholarship to attend the yeshiva, he became President of the Student Council. His erudition was quickly recognized, and one of his chiddushim (innovative Torah discussions) was in the school journal alongside the Torah insights of Rabbi Moshe Soloveitchik zt'l, the Rosh Yeshiva. While in the Yeshiva, he arranged for bachurim to attend a private shiur (lecture) on the mussar classic Mesillas Yesharim given by Reb Yaakov Yosef Herman zt'l (of All For The Boss fame). In 1932, Rabbi Izak Sher, zt'l, Rosh Yeshiva of the Slobodka Yeshiva in Lithuania, and son-in-law of the yeshiva’s founder, the Alter of Slabodka (Rabbi Nosson Tzvi Finkel) zt'l, came to America to raise money for the Yeshiva. While in the United States, Rabbi Sher delivered several shmuessen in the Broadway Central Hotel where he was staying. Young Avigdor Miller was impressed with the mussar system he espoused, and felt drawn to Slabodka. He had one problem: he was learning with great diligence, utilizing every spare moment; what more would he accomplish in Slabodka? He consulted Rabbi Yehuda Davis, an old friend of his from Baltimore, who had already been to Slabodka and was going back. He advised him, “What it takes four hours to learn here, you can learn in one hour in Slabodka.” The decision was made. Rabbi Sher’s visit was during the Depression, and he did not come back with much money for his yeshiva, but he did succeed in returning with goods far more precious: dedicated American bachurim, who would eventually be instrumental in changing the face of American Jewry. Reb Avigdor arrived in Slabodka before Shavuos. In Slabodka, his hasmada (diligence) became even more intense. During the first three hours of the day he wouldn’t talk to anyone, even if they wished to discuss the Gemora. If approached, he would motion “Later” with his hand. The yeshiva only provided one meal a day. The $10 monthly that his parents sent him went for rent and food, leaving little for clothing. Later, when the dollar was devalued and $10 was worth only $5, he often went hungry. No sacrifice was too big for the sake of enhanced Torah learning. In 1935, he married Etel Lesin, the daughter of Rabbi Yaakov Moshe Lesin, zt'l, Rav of Neustadt-Zugind, a prize student of the Alter of Slabodka. Rabbi Mordechai Shulman, zt'l, his rebbi’s son-in-law and later Rosh Yeshiva of Slabodka, was the shadchan, and was later involved in helping him obtain a position in Yeshivas Rabbeinu Chaim Berlin. In 1938, when the United States Government advised all American citizens to return home because of the imminent war, he was faced with a major problem. His wife had an eye infection, thus ineligible for a visa. Out of desperation, he personally pleaded with the American consul in Kovno, who – to his surprise – came from Baltimore and had attended the same high school as he, albeit at a different time. The consul, feeling an affinity for his fellow Baltimorian, arranged for their visas to be issued. Reb Avigdor used the opportunity to persuade the consul to also issue visas to America for Rabbi and Rebbetzin Shmuel Leib Svei, and their children (including today’s Philadelphia Rosh Hayeshiva). Nine months after his return to Baltimore, he became Rav in Chelsea, Massachusetts. Immediately upon his arrival there, he took two important steps. He paid what was then an exorbitant sum of $100 for the right to say the daily daf, despite the fact that that sum could cover 4 to 5 months’ rental for a four-bedroom apartment in a fashionable neighborhood! He also announced on Shabbos morning that he would personally teach any older child free of charge. Only one person came forward. The next day – accompanied by his mother – was a young man, two years Rabbi Miller’s senior, attired in a bloodstained butcher’s apron. Rabbi Miller began teaching Mr. Kaufman, z'l, who became a dedicated worker on behalf of Klal Yisroel. He was later instrumental in sending a number of Chelsea boys to yeshivos, and ultimately took over the afternoon yeshiva high school that “the Rabbi” had started. When Rabbi Miller announced his plan to establish an afternoon yeshiva, he encountered great opposition. Permission had been granted for the yeshiva’s checks to be made out to the shul, but once the funds were raised, the shul’s Board refused to release them. Only after Rabbi Miller appeared before the Board and, with tears in his eyes, begged them to reconsider, did they relinquish the money. Eventually, the force of Rabbi Miller’s conviction and perseverance turned back the tide of opposition. When the yeshiva opened, even those who had initially opposed it welcomed it with a special celebration. When Rabbi Miller became the Mashgiach of Mesivta Rabbeinu Chaim Berlin in 1944, Rabbi Hutner proposed that he would say the shiurim while Rabbi Miller would say the shmuessen. Rabbi Miller deferred to the Rosh Yeshiva, and concentrated on seeing that the bachurim were keeping the sedorim (schedule) and learning. Soon after his arrival in New York, Rabbi Miller also assumed the position of Rav of the Young Israel of Rugby, in East Flatbush. He in fact became Mashgiach andRebbi, as well, constantly teaching and delivering shiurim. His “sermons” were shmuessen, and he was ready to lend a listening ear and helping hand to all who sought his advice and assistance. In a few short years, Rabbi Miller had achieved a virtual miracle. He had changed the face of a small shul, with mostly religious Zionist members, at a time when keeping one’s store closed on Shabbos was the sign of a tzaddik, transforming it into a place of serious Torah study with emphasis on personal spiritual growth. Perhaps his unstinting efforts coupled with his supreme bitachon were the catalyst for the vast Siyata Dishmaya he ultimately had in influencing an entire generation. As Rav, he withstood numerous trials and staunch opposition. The shul’s first banquet ever was in honor of the president, whose wife was president of the sisterhood. Rabbi Miller stipulated that there be no social dancing – a radical request at that time. The shul agreed. Two weeks before the banquet, however, the president informed Rabbi Miller that his children could not fathom a grand affair without dancing. Rabbi Miller responded firmly, “If there will be dancing, I will not come, and the shul will not sponsor it.” The president, who was then the main financial supporter, left the shul! Hashem sent others to take his place and the shul survived. The women’s section of the shul was separated from the men’s by a very low mechitza. Rabbi Miller knew that a proposal to raise the mechitza would be defeated. So late one evening, he and the new president raised it themselves. When the deed was discovered, many were upset… some left, but others remained. When the Rav finished, the gabbai, who was then the most prominent member of the shul, smiled, said Gut Shabbos and sat down. For the next few days, Rabbi Miller spent time appeasing the gabbai, explaining that his curt comment on Shabbos had not been a personal affront; rather, K’vod Shamayim required it. The gabbairemained a loyal member of the shul for the rest of his life. His children are all builders of Torah in their communities, and his grandchildren are outstanding talmidei chachamim. In the 1970’s, due to the decline of the East Flatbush neighborhood, Rabbi Miller moved the shul to Flatbush, where it was called Beis Yisroel. From that small unassuming building (he did not even permit the congregants to put up a sign with the shul’s name) on Ocean Parkway, he delivered his Torah classes and his masterful lectures that influenced an entire generation. Rabbi Miller sincerely loved all Yidden from all walks of life, frum or not-yet-frum, and therefore his influence extended to all – and even more, was accepted by all. People the world over thought of Rabbi Miller as their Rebbi, through his tapes, his books or his speeches. “My rabbi also lives in Brooklyn!” the man exclaimed. “Rabbi Miller,” was the reply. This story is not unique. An American-born Jew, Rabbi Miller understood the American psyche and had the uncanny ability of presenting the truth of Yiddishkeit in a manner that appeals to thousands of unaffiliated Jews. He derived such inspiration from the book that, despite having been offered scholarships to the finest universities, he chose to attend Ohr Somayach in Eretz Yisroel, and ultimately considered transferring to the Mirrer Yeshiva. Then there was the young Sefardi man who became extremely close with the family through Rabbi Miller’s tapes. In fact, Rabbi Miller started a lecture series with ten members of the Sephardic community, eventually having a profound influence on a large number of them. And the Satmar Chassid who would never miss Rabbi Miller’s Thursday night lecture, despite the fact that he was a shochet (ritual slaughterer) who left his home in Monsey at 4:00 a.m. every morning to travel to work in Vineland, New Jersey. It did not matter to him that the shiur prevented him from getting to sleep before midnight! He devised a program that was a forerunner of Partners in Torah: The Telephone Torah Program, whereby one individual would learn portions of Chumash and then would repeat them over the telephone to a partner on a weekly basis. After beginning with Parshas Bereishis and Noach, the program was expanded to include Pirkei Avosand Gemora. His inimitable sense of humor and uncanny way with words enabled Rabbi Miller to give mussar without the recipient feeling as if he had been taken to task. Despite having grown up in America of the early 1900’s, Rabbi Miller came to appreciate the world through the Chovos Halevavos. His knowledge of science helped him expound on the Shaar Habechina to encompass every aspect of life. He had the uncanny ability to derive hashkafa from what would otherwise have seemed to be the most mundane items and occurrences in the world around him. Rabbi Miller constantly taught us to be thankful for every aspect of life. When it rained, he would encourage people to thank Hashem for the bountiful fruits and vegetables which were, in potential, pouring down from the heavens. He would explain the beauty in countless creations of Hashem, pointing out how their very shape, color, or size was uniquely suited to the purpose of the creation. “If we truly think, Hashem’s wisdom can be seen everywhere. Simply study the apple, the peach, your eye, your hand, and you will surely find a wisdom that can only be Hashem’s. For this we must give thanks; that is what life is all about.” He would point out that rather than create a world of black and white, Hakadosh Baruch Hu filled the world with color and beauty to make it more attractive and pleasurable for people. With that said, he enunciated the beracha clearly and distinctly, as if the Ribbono Shel Olam Himself were sitting there before him. He not only derived lessons from the good things in life, he even gleaned positive lessons from adverse situations. A woman once called to complain about her troubled marriage. Rabbi Miller encouraged her saying, “Look at it this way. Every difficult marriage is an opportunity for greatness and ultimate happiness.” Dealing with difficult situations is an opportunity for developing good middos. Rabbi Miller assisted his son, Rabbi Shmuel Miller in founding the Yeshiva Gedola Bais Yisroel in 1983, and served as Menahel Ruchani there. He also helped raise the funds for the yeshiva, said shmuessen in Yiddish weekly, and taught Ketzos Hachoshen to a group there once a week. During this time, Rabbi Miller let it be known that he would be available to deliver a private vaad (discussion group on a mussar topic) once a month if a minimum of ten men would express interest. These sessions convened regularly for the past nineteen years, during which his presentations were transcribed in Hebrew. They are now being prepared for publication. In addition to influencing the world around him through his books, tapes and speeches, Rabbi Miller himself was a living embodiment of all that he taught. He more than taught Chovos Halevavos; he personified its lessons. Everything he suggested, he practiced and adhered to. He constantly strove to improve his middos, and only after implementing his “improvements,” did he recommend them to others. Indeed, the secret to his success was neither his mastery of the English language nor his humor; it was the fact that he practiced what he preached. In one of his tapes (#706), Rabbi Miller delineates ten steps to greatness that should be practiced every day. 2) Spend thirty seconds thinking about Olam Habba. 3) At least one time during the day, for example during meal times, acknowledge that your actions are L’Shem Shamayim. 4) When saying the beracha of “Malbish Arumim – He clothes the naked,” spend thirty seconds contemplating the great gift of garments, i.e., pockets, buttons, shoelaces, etc. 5) Spend one minute thinking over yesterday (cheshbon hanefesh). 7) Do one act of kindness a day that no one, other than Hashem, knows about. 8) Encourage somebody – thereby imitating Hashem, Who lifts up the humble. 10) Just like Hashem’s image shines on us, SMILE! He recommended doing the above exercises for thirty days. “If you feel exhausted, take a break and come back slowly. To become great, you have to be extreme.” If Rabbi Miller recommended these exercises, it is obvious that he must have perfected them! Rabbi Miller’s humility was exemplary. He managed to cloak his greatness beneath layers of seeming simplicity. When complimented on his accomplishments, he would shrug off the comment. Once told of an individual in Minneapolis who had been considering suicide until he heard Rabbi Miller’s tapes, he (as always) did not react, giving the impression that he had had nothing to do with it. On another occasion, he was accosted while leaving his Thursday night class by a family from Texas, who thanked him, saying, “We are all religious because of you.” He responded, “Thanks for making an old man happy,” and continued to go up to his apartment. This attitude can be understood by his comment at one of his vaadim (discussion groups). He said that if a person enjoys being praised for a mitzva, then he did not do it completely l’Shem Shamayim, and the mitzva is therefore less than perfect. In his everyday life, he displayed greatness, in the guise of normalcy and reason. For over sixty years he slept on a board, with everyone assuming that it was because of his weak back. His eating was completely for the sake of Heaven, and therefore he only ate and drank what he felt was needed for nourishment. He only drank water, no coffee, tea or soda. When he was young, he enjoyed partaking of a piece of cake, until he decided that it was not necessary. At that point he made a nedder (vow) not to eat cake from Pesach to Succos; he then renewed the nedder from Succos to Pesach, and continued the cycle until he no longer had any interest in cake. He stopped eating meat after returning from Europe in 1938, and he would only eat chicken “koshered” by his wife, until she was no longer able to “kosher” chicken. He would not dream of being stringent if it would burden her. Not only was his very life dedicated to self-improvement and serving Hashem, he was insistent that he not be beholden to any being other than his Creator. He lived the dictum of “sonei matanos yichye,” and despised gifts of any sort. He never accepted gifts from wealthy members of his shul, nor would he ever ask for a raise in salary. At one point, the shul even asked him to take a cut in salary because of their financial problems, and when they wanted to restore his salary to its previous level, he declined, stating that the shul needed the money more than he did. Even when he performed Rabbinic duties – which often have a fee, such as selling the chometz – he would not take any remuneration. In later years, he refused to sell chometz for people who were not members of his shul, because he did not want to infringe on the livelihood of other rabbis in the neighborhood. He had iron bitachon that Hashem would give him the livelihood he needed, when he required it. This conviction was proven time and again. After all, he only received a small salary from his shul, and whatever he was supposed to receive from the yeshiva was not always on time or even forthcoming. When marrying off his children, he would promise a certain amount of support, backing it up with a shtar (a written contract). And of course, Hashem never let him down; just when he needed it, the shulraised his salary in the exact amount that he had promised! When writing and printing his books, he put his faith completely in Hashem. He had no distributors, and personally packaged and mailed each one. And, the books were quickly snapped up and purchased. The same held true for his tapes. Again, by virtue of Hashem’s will, the tapes too circulated around the world. He exuded a genuine warmth and enthusiasm for all Jews. His love for them was such that when he would meet other Jews, even those whom he did not know, he simply could not refrain from blessing them. One particular young man from a large Torah family recalls his mother gathering the children every Friday afternoon in order to walk around the corner and get a berachafrom Rabbi Miller who passed by at the same time each week. Once, a woman (whom he knew) was speaking on a public telephone to her recently engaged sister when he passed by. “Rabbi Miller, would you please bless my sister?” With a sincere smile, he took the phone and bestowed his heartfelt blessings on thekalla. His abundant love for Yidden brought him to bless each house with a mezuza on the door that he encountered in his walks. Similarly, when he passed a yeshiva, he would shower the Roshei Yeshiva, their talmidim and their families with berachos. Besides delving into Gemora, he put supreme effort into mastering Tanach and dikduk. His learning and hasmada, when he was but a child in Baltimore, must have been extraordinary because another Baltimorian several years his junior was indelibly influenced by the sight of the older boy learning. He would watch him “rock back and forth with his elbows on the shtender,” and based on this example set by Rabbi Miller, he chose to dedicate his life to learning. That younger boy grew up to be the late, revered Rosh Yeshiva of Telshe, Rabbi Mordechai Gifter zt'l. His petira on 17 Nissan, April 20, brought people from all walks of life to fill his small shul, spilling out, crowding the surrounding streets, to pay their last respects to him. Indeed, the thousands who came to his funeral were living testimony to how much he is missed. And the tens of thousands of people all over the world who continue to listen to his tapes, and read, learn and gain knowledge and direction from his printed word are a testimony to how he is still very much with us.The Torah begins with the words “Bereishis bara Elokim – In the beginning G-d created.” Rashi explains the word “Bereishis” to indicate “bishvil reishis – for the sake of reishis, G-d created….” He identifies “reishis” as referring to the Torah and to Bnei Yisroel. The very word “Bereishis,” then, implies that Hashem, who constantly creates the worldex nihilo, is the Author. Hence Torah, known as “reishis darko,” must always be studied with the excitement of one about to begin a journey with G-d. But only the Jewish People are capable of this mission because they alone are called reishis tevuasa – the first crop of grain, whose essence is growth. These three – Hashem, Torah and Bnei Yisrael – are intertwined with the eternal message that the Jewish People must immerse themselves in the Creator’s Torah, the Blueprint of Creation, to forever maintain their identity as the Children of Israel, a people who are constantly beginning afresh. An explanation can possibly be gleaned from a comment made by Rabbi Yerucham Levovitz, zt'l, Mashgiach of the Mirrer Yeshiva in Europe. Over seventy years ago, Reb Yerucham said, “The American bachurim who come to learn in Europe are the Rabbi Akiva Eigers of our times.” Rabbi Yerucham surely did not mean that those American students were more accomplished in their studies than their teachers. Before his death, Rabbi Akiva Eiger zt'l had stipulated that he would permit only one of his achievements to be mentioned at his funeral: his demonstration that the delight of Torah can elevate a man beyond the world of affliction. Throughout his life, Rabbi Akiva Eiger was beset with severe physical pain. Yet his complete immersion in Torah engendered a kedushathat enabled him to overcome his pain. While in the Yeshiva, he arranged for bachurim to attend a private shiur (lecture) on themussar classic Mesillas Yesharim given by Reb Yaakov Yosef Herman zt'l (of All For The Boss fame). In 1932, Rabbi Izak Sher, zt'l, Rosh Yeshiva of the Slobodka Yeshiva in Lithuania, and son-in-law of the yeshiva’s founder, the Alter of Slabodka (Rabbi Nosson Tzvi Finkel)zt'l, came to America to raise money for the Yeshiva. While in the United States, Rabbi Sher delivered several shmuessen in the Broadway Central Hotel where he was staying. Young Avigdor Miller was impressed with the mussar system he espoused, and felt drawn to Slabodka. He had one problem: he was learning with great diligence, utilizing every spare moment; what more would he accomplish in Slabodka? He consulted Rabbi Yehuda Davis, an old friend of his from Baltimore, who had already been to Slabodka and was going back. He advised him, “What it takes four hours to learn here, you can learn in one hour in Slabodka.” The decision was made. In 1935, he married Etel Lesin, the daughter of Rabbi Yaakov Moshe Lesin, zt'l, Rav of Neustadt-Zugind, a prize student of the Alter of Slabodka. Rabbi Mordechai Shulman,zt'l, his rebbi’s son-in-law and later Rosh Yeshiva of Slabodka, was the shadchan, and was later involved in helping him obtain a position in Yeshivas Rabbeinu Chaim Berlin. When Rabbi Miller became the Mashgiach of Mesivta Rabbeinu Chaim Berlin in 1944, Rabbi Hutner proposed that he would say the shiurim while Rabbi Miller would say theshmuessen. Rabbi Miller deferred to the Rosh Yeshiva, and concentrated on seeing that the bachurim were keeping the sedorim (schedule) and learning. Soon after his arrival in New York, Rabbi Miller also assumed the position of Rav of the Young Israel of Rugby, in East Flatbush. He in fact became Mashgiach and Rebbi, as well, constantly teaching and delivering shiurim. His “sermons” were shmuessen, and he was ready to lend a listening ear and helping hand to all who sought his advice and assistance. When the Rav finished, the gabbai, who was then the most prominent member of the shul, smiled, said Gut Shabbos and sat down. For the next few days, Rabbi Miller spent time appeasing the gabbai, explaining that his curt comment on Shabbos had not been a personal affront; rather, K’vod Shamayim required it. 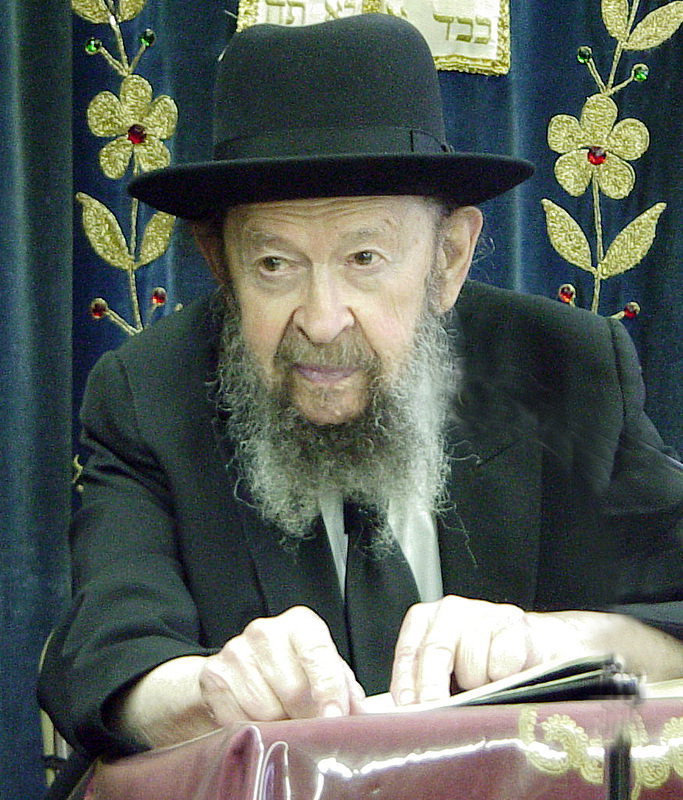 The gabbai remained a loyal member of the shul for the rest of his life. His children are all builders of Torah in their communities, and his grandchildren are outstanding talmidei chachamim. He devised a program that was a forerunner of Partners in Torah: The Telephone Torah Program, whereby one individual would learn portions of Chumash and then would repeat them over the telephone to a partner on a weekly basis. After beginning with Parshas Bereishis and Noach, the program was expanded to include Pirkei Avos and Gemora. In addition to influencing the world around him through his books, tapes and speeches, Rabbi Miller himself was a living embodiment of all that he taught. He more than taughtChovos Halevavos; he personified its lessons. Everything he suggested, he practiced and adhered to. He constantly strove to improve his middos, and only after implementing his “improvements,” did he recommend them to others. Indeed, the secret to his success was neither his mastery of the English language nor his humor; it was the fact that he practiced what he preached.